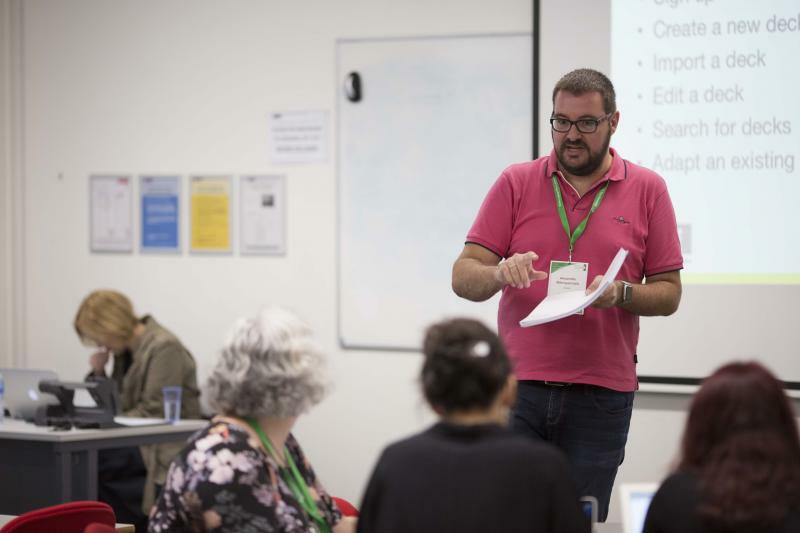 The 25th annual conference of the Association for Learning Technology (ALT) took place on 11-13 September in Manchester, UK. The conference brings together different critical perspectives in Learning Technology from across the community in order to examine the challenges ahead and question the shape of things to come. The event was very well attended, featuring lively discussions and interactive sessions. Alexander Mikroyannidis represented KMi and the SlideWiki project and delivered a hands-on workshop about the redesigned SlideWiki platform for collaborative authoring of educational content. Participants had the opportunity to try the SlideWiki platform in order to perform a range of tasks related to Open Educational Resources (OERs), including finding OERs, reusing existing OERs, as well as authoring new OERs in collaboration with other participants. Participants were able to offer their feedback via a plenary discussion and complete a questionnaire evaluating SlideWiki in terms of its usefulness and usability. The SlideWiki project is currently organising a competition and invites participants to create and import high-quality educational content in the SlideWiki platform. This educational content will have the form of slide presentations and will be directly related to secondary education, vocational and professional training, higher education and/or community-driven open-education with contributions from academics, teachers and learners with disabilities. Participants should create reusable, repurposable, and multilingual material in a crowdsourcing way. More information about this competition can be found here.